The original Vortech nozzle has returned and is better than ever. 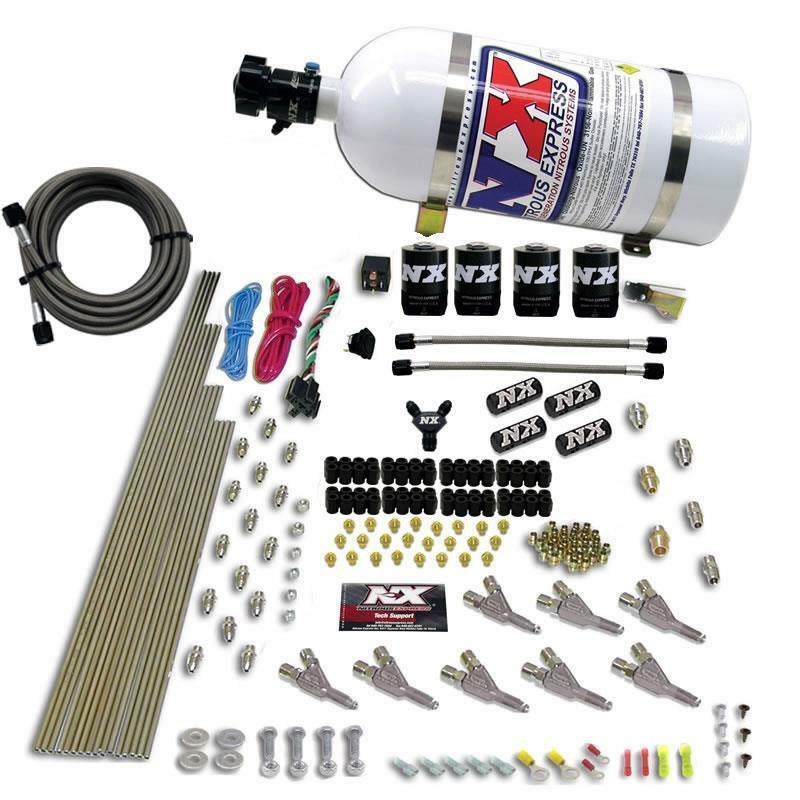 The “Stainless Steel Vortech” is the original bell cone nitrous/fuel atomizer and has been copied by many. Remember to look for the patent number laser etched on the SSV nozzle. 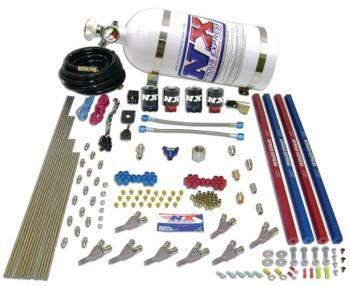 First in Quality, first in technology, Nitrous Express, the “Next Generation” nitrous company! Nitrous system comes complete with your choice of 5lb, 10lb, 15lb, or 12lb composite nitrous bottle, stainless bottle brackets, stainless hard lines, nozzles, jetting, and all necessary electrical components. This system requires the drilling and tapping of intake.